Attorney John E. Horn of the law firm of Horn & Kelley, PC, just won another social security disability case, this one at the remand level of the Social Security Disability process. He won the claim of a forty eight year-old Social Security Disability applicant who suffers from RSD (Reflex Sympathetic Dystrophy Syndrome), neuropathy, arthritic pain in his back and feet, obesity, anxiety, and depression. Do not make the same mistake so many others have, call us before you file. We can handle your claim from the very beginning. We apply for Brookfield disability claimants online. Applications for Social Security Disability benefits have a seventy percent chance of being denied. Then it is necessary to file an appeal called reconsideration. We request reconsideration for Brookfield Social Security Disability applicants by filing online. Eighty-five percent of claims are denied at reconsideration. Then it is necessary to file another appeal requesting a hearing by an administrative law judge. We request hearings for Brookfield Social Security Disability applicants online. Brookfield Social Security Disability claims are heard in the Oak Brook hearing office. Many claims are won at the hearing level, but if you do not win, an appeal must be filed with the Appeals Council. Like everyone else, Brookfield Social Security Disability applicants file their appeals in Falls Church, Virginia, by fax or mail. The Appeals Council denies eight out of ten appeals. Social Security used to allow sixty-five percent of all claims, but now it is allowing only forty percent. We aim to win every claim without a hearing, but Social Security is just a big insurance company, and like any other insurance company, it only wants to take in premiums and not pay benefits. That means you need a Social Security Disability Lawyer who will if necessary take your case to the United States District Court, the United States Court of Appeals, or even the United States Supreme Court. Brookfield Social Security Disability applicants file suit against Social Security in the United States District Court in Chicago. If Brookfield disability applicants do not win in the District Court, they appeal to the United States Court of Appeals for the Seventh Circuit in Chicago. When you apply for Social Security Disability, make sure you hire a local fighter, a lawyer who can take your case to the United States District Court or United States Court of Appeals if necessary. You have at least a fifty percent better chance of winning with a fighting lawyer who can take your case to the United States District Court, the United States Court of Appeals or even the United States Supreme Court. Visit our website at www.johnehornattorney.com. We are national leaders in social security disability law with more cases published in the Forum of the National Organization of Social Security Claimants’ Representatives than anyone else in the country for the last several years. We show other lawyers how to win. Horn & Kelley won fourteen of sixteen decisions in the U. S. District Court and two out of two decisions in the U. S. Court of Appeals in 2016. We have represented many Brookfield disability applicants successfully. Horn & Kelley are attorneys who represent people on disability claims at every level in Chicagoland, Northwest Indiana, and nationwide. Horn & Kelley has offices in Chicago, Tinley Park, and La Grange, Illinois, as well as Highland, Indiana. Their Chicago office serves Southwest Chicago. Their Tinley Park office serves Chicago’s south and southwest suburbs, including Brookfield. Their LaGrange office serves Chicago’s west suburbs. Their Highland office serves Northwest Indiana. They have represented more than 5,000 clients in the past twenty-five years. If you are a Brookfield disability applicant, get a free evaluation of your social security disability claim and call Horn & Kelley at 888-921-5297. A Brookfield disability applicant would ordinarily make an appointment at our Tinley Park office, depending on what is convenient for you. Horn & Kelley practice only in the field of Social Security Disability. Follow Horn & Kelley on Twitter @HornKelleyLaw and like us on Facebook. John Horn wins another disability case resulting in over 10 years of past due benefits awarded to claimant! Attorney John E. Horn of the law firm of Horn & Kelley, PC, just won another social security disability case, this one at the court level of the Social Security Disability process. After three district court remands (Roper v. Astrue, 2012 U.S Dist. LEXIS 118779, a sentence six remand; Roper v. Colvin, 2016 U.S. Dist. LEXIS 94953, a sentence four remand; and Roper v. Berryhill, 17-5242, an agreed sentence four remand on March 2, 2018; all N.D.Ill.) and four hearings (not counting supplementals), a new ALJ called a medical expert who testified that claimant equaled listing 1.04C from October 6, 2008 through August 31, 2010 (Decision at 9), and that afterwards he would miss more than one and a half days per month (Decision at 10, 17), which the vocational expert testified precluded work. Claimant, still a younger individual, amended his alleged onset date from October 21, 2006 to October 6, 2008. I have represented claimant since September 6, 2007. The claimant was awarded TEN YEARS of past due benefits. Do not make the same mistake so many others have, call us before you file. We can handle your claim from the very beginning. We apply for Joliet disability claimants online. Applications for Social Security Disability benefits have a seventy percent chance of being denied. Then it is necessary to file an appeal called reconsideration. We request reconsideration for Joliet Social Security Disability applicants by filing online. Eighty-five percent of claims are denied at reconsideration. Then it is necessary to file another appeal requesting a hearing by an administrative law judge. We request hearings for Joliet Social Security Disability applicants online. Joliet Social Security Disability claims are heard in the Oak Brook hearing office. Many claims are won at the hearing level, but if you do not win, an appeal must be filed with the Appeals Council. Like everyone else, Joliet Social Security Disability applicants file their appeals in Falls Church, Virginia, by fax or mail. The Appeals Council denies eight out of ten appeals. Social Security used to allow sixty-five percent of all claims, but now it is allowing only forty percent. We aim to win every claim without a hearing, but Social Security is just a big insurance company, and like any other insurance company, it only wants to take in premiums and not pay benefits. That means you need a Social Security Disability Lawyer who will if necessary take your case to the United States District Court, the United States Court of Appeals, or even the United States Supreme Court. Joliet Social Security Disability applicants file suit against Social Security in the United States District Court in Chicago. If Joliet disability applicants do not win in the District Court, they appeal to the United States Court of Appeals for the Seventh Circuit in Chicago. When you apply for Social Security Disability, make sure you hire a local fighter, a lawyer who can take your case to the United States District Court or United States Court of Appeals if necessary. You have at least a fifty percent better chance of winning with a fighting lawyer who can take your case to the United States District Court, the United States Court of Appeals or even the United States Supreme Court. Visit our website at www.johnehornattorney.com. We are national leaders in social security disability law with more cases published in the Forum of the National Organization of Social Security Claimants’ Representatives than anyone else in the country for the last several years. We show other lawyers how to win. Horn & Kelley won fourteen of sixteen decisions in the U. S. District Court and two out of two decisions in the U. S. Court of Appeals in 2016. We have represented many Joliet disability applicants successfully. Horn & Kelley are attorneys who represent people on disability claims at every level in Chicagoland, Northwest Indiana, and nationwide. Horn & Kelley has offices in Chicago, Tinley Park, and La Grange, Illinois, as well as Highland, Indiana. Their Chicago office serves Southwest Chicago. Their Tinley Park office serves Chicago’s south and southwest suburbs, including Town. Their LaGrange office serves Chicago’s west suburbs. Their Highland office serves Northwest Indiana. They have represented more than 5,000 clients in the past twenty-five years. If you are a Joliet disability applicant, get a free evaluation of your social security disability claim and call Horn & Kelley at 888-921-5297. A Joliet disability applicant would ordinarily make an appointment at our Tinley Park office, depending on what is convenient for you. Horn & Kelley practice only in the field of Social Security Disability. Follow Horn & Kelley on Twitter @HornKelleyLaw and like us on Facebook. John Horn accomplishes another win for an Arlington Heights Claimant at the Court Level! Social Security Disability Lawyer John E. Horn of the law firm of Horn & Kelley, P.C., just won another Social Security Disability case, this one on the record at the hearing level of the Social Security Disability process. Our client was a sixty-two year old Arlington Heights social security disability applicant who suffered from severe back pain with numbness and tingling in both feet including toes, bilateral knee replacements, high blood pressure, fibromyalgia, sleep apnea, and depression and anxiety. We have represented many other Arlington Heights Social Security Disability claimants successfully. Do not make the same mistake so many others have, call us before you file. We can handle your claim from the very beginning. We apply for Arlington Heights disability claimants by filing online. Applications for Social Security Disability benefits have a seventy percent chance of being denied. Then it is necessary to file an appeal called reconsideration. We request reconsideration for Arlington Heights disability applicants by filing their appeals online. Most claims are denied at reconsideration. Then it is necessary to file another appeal requesting a hearing by an administrative law judge. We request hearings for Arlington Heights disability applicants by filing online. Many claims are won at the hearing level, but if you do not win, an appeal must be filed with the Appeals Council. Like everyone else who appeals to the Appeals Council, Arlington Heights disability applicants file their appeals in Falls Church, Virginia. The Appeals Council denies eight out of ten appeals. Social Security used to allow sixty-five percent of claims overall, but now it is allowing only forty percent of claims. We aim to win every claim without a hearing, but Social Security is just a big insurance company, and like any other insurance company, it only wants to take in premiums and not pay benefits. That means you need a Social Security Disability Lawyer who will if necessary take your case to the United States District Court, the United States Court of Appeals, or even the United States Supreme Court. Arlington Heights disability applicants file suit against Social Security in the United States District Court in Chicago. If Arlington Heights disability applicants do not win in the District Court, they appeal to the United States Court of Appeals for the Seventh Circuit in Chicago, maybe even to the United States Supreme Court in Washington, D.C. When you apply for Social Security Disability, make sure you hire a local fighter, a lawyer who can take your case to the United States District Court or United States Court of Appeals if necessary. You have at least a fifty percent better chance of winning with a fighting lawyer who can take your case to the United States District Court, the United States Court of Appeals or even the United States Supreme Court. Visit our website at www.johnehornattorney.com. We are national leaders in Social Security Disability law with more cases published in the Forum of the National Organization of Social Security Claimants’ Representatives than anyone else in the country for the last two years. We show other nineteen of twenty decisions in 2017 in the United States District Court and four out of four decisions in the United States Court of Appeals in 2017. Horn & Kelley are attorneys who represent people on disability claims at every level in Chicagoland, Northwest Indiana. Horn & Kelley have offices in Chicago, Tinley Park, and La Grange, Illinois, as well as Highland, Indiana. Their Chicago office serves Southwest Chicago. Their Tinley Park office serves Chicago’s southwest suburbs. Their LaGrange office serves Chicago’s west suburbs, such as Arlington Heights. Their Highland office serves Northwest Indiana. They have represented more than 5,000 clients in the past twenty-five years. If you are a Arlington Heights disability applicant, get a free evaluation of your Social Security Disability claim by calling Horn & Kelley at 888-921-5297. Horn & Kelley practice only in the field of Social Security Disability. For some people, mental illness is a debilitating disability that impacts one’s ability for gainful employment. For this reason, post-traumatic stress disorder, or PTSD, can be the basis of a Social Security Disability claim. PTSD is a complex condition that can impact your ability to work. If you are applying for Social Security Disability, keep reading to see what steps you need to take. PTSD is an anxiety disorder that typically develops after an individual has experienced something traumatic. Individuals with PTSD may have experienced military combat, sexual assault, abuse, or even a natural disaster. Coronary Artery Disease: Do You Qualify for Social Security Disability Benefits? If you suffer from coronary artery disease, you may qualify for Social Security Disability benefits. Coronary artery disease is the disease of the heart caused by fat and plaque buildup within the arteries of the heart. The buildup will harden and narrow the arteries which provide oxygen and blood flow to the heart. If this happens, the flow of blood and oxygen to the heart will stop or slow significantly. Coronary artery disease can lead to chest pain, shortness of breath, and heart attacks. If you have significant symptoms, you may qualify for disability benefits from the Social Security Administration. The following are some things you need to know. How Can You Qualify for Social Security Disability for Coronary Artery Disease? John Horn wins another case at the application level for a Tinley Park claimant! Attorney John E. Horn of the law firm of Horn & Kelley, PC, just won another Social Security Disability case, this one at the application level, step one of the Social Security Disability process. He won the claim of a sixty one year old Tinley Park Social Security Disability applicant who suffered from past history of a fractured foot, bilateral chronic leg pain, lower back pain, radiculopathy, neuropathy, shoulder impairment, anxiety, and muscle spasms. Do not make the same mistake so many others have, call us before you file. We can handle your claim from the very beginning. We apply for Tinley Park Social Security Disability claimants online. Applications for Social Security Disability benefits have a seventy percent chance of being denied. Then it is necessary to file an appeal called reconsideration. We request reconsideration for Tinley Park Social Security Disability applicants by filing online. Eighty-five percent of claims are denied at reconsideration. Then it is necessary to file another appeal requesting a hearing by an administrative law judge. We request hearings for Tinley Park Social Security Disability applicants online. Tinley Park Social Security Disability claims are heard in the Orland Park hearing office. Many claims are won at the hearing level, but if you do not win, an appeal must be filed with the Appeals Council. Like everyone else, Tinley Park Social Security Disability applicants file their appeals in Falls Church, Virginia, by fax or mail. The Appeals Council denies eight out of ten appeals. Social Security used to allow sixty-five percent of all claims, but now it is allowing only forty percent. We aim to win every claim without a hearing, but Social Security is just a big insurance company, and like any other insurance company, it only wants to take in premiums and not pay benefits. That means you need a Social Security Disability Lawyer who will if necessary take your case to the United States District Court, the United States Court of Appeals, or even the United States Supreme Court. Tinley Park Social Security Disability applicants file suit against Social Security in the United States District Court in Chicago. If Tinley Park Social Security Disability applicants do not win in the District Court, they appeal to the United States Court of Appeals for the Seventh Circuit in Chicago. When you apply for Social Security Disability, make sure you hire a local fighter, a lawyer who can take your case to the United States District Court or United States Court of Appeals if necessary. You have at least a fifty percent better chance of winning with a fighting lawyer who can take your case to the United States District Court, the United States Court of Appeals or even the United States Supreme Court. Visit our website at www.johnehornattorney.com. We are national leaders in Social Security Disability law with more cases published in the Forum of the National Organization of Social Security Claimants’ Representatives than anyone else in the country for the last three years. We show other lawyers how to win. Horn & Kelley won nineteen out of twenty decisions in 2017 in the United States District Court and four out of four decisions in the United States Court of Appeals in 2017. We have represented many Tinley Park Social Security Disability applicants successfully. Horn & Kelley are attorneys who represent people on Social Security Disability claims at every level in Chicagoland and Northwest Indiana. Horn & Kelley has offices in Chicago, Tinley Park, and La Grange, Illinois, as well as Highland, Indiana. Their Chicago office serves Southwest Chicago. Their Tinley Park office serves Chicago’s south and southwest suburbs, including Town. Their LaGrange office serves Chicago’s west suburbs. Their Highland office serves Northwest Indiana. They have represented more than 5,000 clients in the past twenty-five years. If you are a Tinley Park Social Security Disability applicant, get a free evaluation of your Social Security Disability claim and call Horn & Kelley at 888-921-5297. A Tinley Park Social Security Disability applicant would ordinarily make an appointment at our Tinley Park office, depending on what is convenient for you. Horn & Kelley practice only in the field of Social Security Disability. Follow Horn & Kelley on Twitter @HornKelleyLaw and like us on Facebook. John Horn wins one for Midlothian Social Security Disability claimant! Attorney John E. Horn of the law firm of Horn & Kelley, PC, just won another social security disability case, this one at the application level, step one of the Social Security Disability process. He won the claim of a sixty year-old Midlothian disability applicant who suffered from a history of prostate cancer, radiation poisoning causing a hole in his bladder, catheter, ankle, hip and knee pain. He is on blood thinners which complicates his mechanical heart valve. He also suffers from depression and anxiety. Do not make the same mistake so many others have, call us before you file. We can handle your claim from the very beginning. We apply for Midlothian social security disability claimants online. Applications for social security disability benefits have a seventy percent chance of being denied. Then it is necessary to file an appeal called reconsideration. We request reconsideration for Midlothian social security disability applicants by filing online. Eighty-five percent of claims are denied at reconsideration. Then it is necessary to file another appeal requesting a hearing by an administrative law judge. We request hearings for Midlothian social security disability applicants online. Midlothian social security disability claims are heard in the Orland Park hearing office. Many claims are won at the hearing level, but if you do not win, an appeal must be filed with the Appeals Council. Like everyone else, Midlothian social security disability applicants file their appeals in Falls Church, Virginia, by fax or mail. The Appeals Council denies eight out of ten appeals. Social Security used to allow sixty-five percent of all claims, but now it is allowing only forty percent. We aim to win every claim without a hearing, but Social Security is just a big insurance company, and like any other insurance company, it only wants to take in premiums and not pay benefits. That means you need a Social Security Disability Lawyer who will if necessary take your case to the United States District Court, the United States Court of Appeals, or even the United States Supreme Court. Midlothian social security disability applicants file suit against Social Security in the United States District Court in Chicago. If Midlothian social security disability applicants do not win in the District Court, they appeal to the United States Court of Appeals for the Seventh Circuit in Chicago. When you apply for social security disability, make sure you hire a local fighter, a lawyer who can take your case to the United States District Court or United States Court of Appeals if necessary. You have at least a fifty percent better chance of winning with a fighting lawyer who can take your case to the United States District Court, the United States Court of Appeals or even the United States Supreme Court. Visit our website at www.johnehornattorney.com. We are national leaders in social security disability law with more cases published in the Forum of the National Organization of Social Security Claimants’ Representatives than anyone else in the country for the last several years. We show other lawyers how to win. 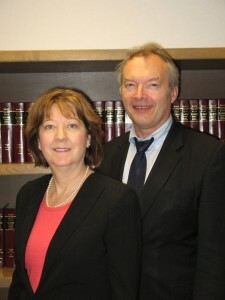 Horn & Kelley fourteen out of sixteen decisions in the United States District Court and two out of two decisions in the United States Court of Appeals in 2016. We have represented many Midlothian social security disability applicants successfully. Horn & Kelley are attorneys who represent people on social security disability claims at every level in Chicagoland, Northwest Indiana. Horn & Kelley has offices in Chicago, Tinley Park, and La Grange, Illinois, as well as Highland, Indiana. Their Chicago office serves Southwest Chicago. Their Tinley Park office serves Chicago’s south and southwest suburbs, including Midlothian. Their LaGrange office serves Chicago’s west suburbs. Their Highland office serves Northwest Indiana. They have represented more than 5,000 clients in the past twenty-five year. If you are a Midlothian disability applicant, get a free evaluation of your social security disability claim and call Horn & Kelley at 888-921-5297. A Midlothian social security disability applicant would ordinarily make an appointment at our Tinley Park office, depending on what is convenient for you. Horn & Kelley practices only in the field of Social Security Disability. Follow Horn & Kelley on Twitter @HornKelleyLaw and like us on Facebook. Attorney John E. Horn of the law firm of Horn & Kelley, PC, just won another social security disability case, this one at the hearing level, step three of the Social Security Disability process. He won the claim of a fifty-eight year old Harvey disability applicant who suffered from bilateral hearing loss, bilateral glaucoma, sleep apnea, hypertension, pulmonary artery disease, severe pain in legs and back with numbness in feet, carpal tunnel syndrome and arthritis. Do not make the same mistake so many others have, call us before you file. We can handle your claim from the very beginning. We apply for Harvey disability claimants online. Applications for social security disability benefits have a seventy percent chance of being denied. Then it is necessary to file an appeal called reconsideration. We request reconsideration for Harvey disability applicants by filing online. Eighty-five percent of claims are denied at reconsideration. Then it is necessary to file another appeal requesting a hearing by an administrative law judge. We request hearings for Harvey disability applicants online. Harvey disability claims are heard in the Orland Park hearing office. Many claims are won at the hearing level, but if you do not win, an appeal must be filed with the Appeals Council. Like everyone else, Harvey disability applicants file their appeals in Falls Church, Virginia, by fax or mail. The Appeals Council denies eight out of ten appeals. Social Security used to allow sixty-five percent of all claims, but now it is allowing only forty percent. We aim to win every claim without a hearing, but Social Security is just a big insurance company, and like any other insurance company, it only wants to take in premiums and not pay benefits. That means you need a Social Security Disability Lawyer who will if necessary take your case to the United States District Court, the United States Court of Appeals, or even the United States Supreme Court. Harvey disability applicants file suit against Social Security in the United States District Court in Chicago. If Harvey disability applicants do not win in the District Court, they appeal to the United States Court of Appeals for the Seventh Circuit in Chicago. When you apply for social security disability, make sure you hire a local fighter, a lawyer who can take your case to the United States District Court or United States Court of Appeals if necessary. You have at least a fifty percent better chance of winning with a fighting lawyer who can take your case to the United States District Court, the United States Court of Appeals or even the United States Supreme Court. Visit our website at www.johnehornattorney.com. We are national leaders in social security disability law with more cases published in the Forum of the National Organization of Social Security Claimants’ Representatives than anyone else in the country for the last three years. We show other lawyers how to win. Horn & Kelley won nine of ten decisions in 2014 in the United States District Court and two out of two decisions in the United States Court of Appeals in 2014. We have represented many Harvey disability applicants successfully. Horn & Kelley are attorneys who represent people on disability claims at every level in Chicagoland, Northwest Indiana. Horn & Kelley has offices in Chicago, Tinley Park, and La Grange, Illinois, as well as Highland, Indiana. Their Chicago office serves Southwest Chicago. Their Tinley Park office serves Chicago’s south and southwest suburbs, including Harvey. Their LaGrange office serves Chicago’s west suburbs. Their Highland office serves Northwest Indiana. They have represented more than 5,000 clients in the past twenty-five year. If you are a Harvey disability applicant, get a free evaluation of your social security disability claim and call Horn & Kelley at 888-921-5297. A Harvey disability applicant would ordinarily make an appointment at our Tinley Park office, depending on what is convenient for you. Horn & Kelley practice only in the field of Social Security Disability. Follow Horn & Kelley on Twitter @HornKelleyLaw and like us on Facebook. Application Level Win for Bourbonnais Claimant with Horn & Kelley! Attorney John E. Horn of the law firm of Horn & Kelley, PC, just won another social security disability case, this one at the application level, step one of the Social Security Disability process. He won the claim of a fifty seven year old Bourbonnais disability applicant who suffered from past injury of shattered bones in both feet necessitating a cane to ambulate, shoulder pain in their dominant arm, COPD, asthma, depression, hip replacement, vascular neuropathy, and obesity and ADHD. Do not make the same mistake so many others have, call us before you file. We can handle your claim from the very beginning. We apply for Bourbonnais social security disability claimants online. Applications for social security disability benefits have a seventy percent chance of being denied. Then it is necessary to file an appeal called reconsideration. We request reconsideration for Bourbonnais social security disability applicants by filing online. Eighty-five percent of claims are denied at reconsideration. Then it is necessary to file another appeal requesting a hearing by an administrative law judge. We request hearings for Bourbonnais social security disability applicants online. Bourbonnais social security disability claims are heard in the Orland Park hearing office. Many claims are won at the hearing level, but if you do not win, an appeal must be filed with the Appeals Council. Like everyone else, Bourbonnais social security disability applicants file their appeals in Falls Church, Virginia, by fax or mail. The Appeals Council denies eight out of ten appeals. Social Security used to allow sixty-five percent of all claims, but now it is allowing only forty percent. We aim to win every claim without a hearing, but Social Security is just a big insurance company, and like any other insurance company, it only wants to take in premiums and not pay benefits. That means you need a Social Security Disability Lawyer who will if necessary take your case to the United States District Court, the United States Court of Appeals, or even the United States Supreme Court. Bourbonnais social security disability applicants file suit against Social Security in the United States District Court in Chicago. If Bourbonnais social security disability applicants do not win in the District Court, they appeal to the United States Court of Appeals for the Seventh Circuit in Chicago. When you apply for social security disability, make sure you hire a local fighter, a lawyer who can take your case to the United States District Court or United States Court of Appeals if necessary. You have at least a fifty percent better chance of winning with a fighting lawyer who can take your case to the United States District Court, the United States Court of Appeals or even the United States Supreme Court. Visit our website at www.johnehornattorney.com. We are national leaders in social security disability law with more cases published in the Forum of the National Organization of Social Security Claimants’ Representatives than anyone else in the country for the last several years. We show other lawyers how to win. Horn & Kelley fourteen out of sixteen decisions in the United States District Court and two out of two decisions in the United States Court of Appeals in 2016. We have represented many Bourbonnais social security disability applicants successfully. Horn & Kelley are attorneys who represent people on social security disability claims at every level in Chicagoland, Northwest Indiana. Horn & Kelley has offices in Chicago, Tinley Park, and La Grange, Illinois, as well as Highland, Indiana. Their Chicago office serves Southwest Chicago. Their Tinley Park office serves Chicago’s south and southwest suburbs, including Bourbonnais. Their LaGrange office serves Chicago’s west suburbs. Their Highland office serves Northwest Indiana. They have represented more than 5,000 clients in the past twenty-five year. If you are a Bourbonnais disability applicant, get a free evaluation of your social security disability claim and call Horn & Kelley at 888-921-5297. A Bourbonnais social security disability applicant would ordinarily make an appointment at our Tinley Park office, depending on what is convenient for you. Horn & Kelley practices only in the field of Social Security Disability. Follow Horn & Kelley on Twitter @HornKelleyLaw and like us on Facebook. Attorney John E. Horn of the law firm of Horn & Kelley, PC, just won another social security disability case, this one at the reconsideration level, step two of the Social Security Disability process. He won the claim of a fifty-three year-old Romeoville social security disability applicant who suffered from Polycythemia Vera, Leukemia (early stages), amputated toe due to blood flow, COPD, emphysema, high blood pressure, and past shattered knee. Do not make the same mistake so many others have, call us before you file. We can handle your claim from the very beginning. We apply for Romeoville social security disability claimants online. Applications for social security disability benefits have a seventy percent chance of being denied. Then it is necessary to file an appeal called reconsideration. We request reconsideration for Romeoville social security disability applicants by filing online. Eighty-five percent of claims are denied at reconsideration. Then it is necessary to file another appeal requesting a hearing by an administrative law judge. We request hearings for Tinley Park disability applicants online. Romeoville social security disability claims are heard in the Orland Park hearing office. Many claims are won at the hearing level, but if you do not win, an appeal must be filed with the Appeals Council. Like everyone else, Romeoville social security disability applicants file their appeals in Falls Church, Virginia, by fax or mail. The Appeals Council denies eight out of ten appeals. Social Security used to allow sixty-five percent of all claims, but now it is allowing only forty percent. We aim to win every claim without a hearing, but Social Security is just a big insurance company, and like any other insurance company, it only wants to take in premiums and not pay benefits. That means you need a Social Security Disability Lawyer who will if necessary take your case to the United States District Court, the United States Court of Appeals, or even the United States Supreme Court. Romeoville disability applicants file suit against Social Security in the United States District Court in Chicago. If Romeoville disability applicants do not win in the District Court, they appeal to the United States Court of Appeals for the Seventh Circuit in Chicago. When you apply for social security disability, make sure you hire a local fighter, a lawyer who can take your case to the United States District Court or United States Court of Appeals if necessary. You have at least a fifty percent better chance of winning with a fighting lawyer who can take your case to the United States District Court, the United States Court of Appeals or even the United States Supreme Court. Visit our website at www.johnehornattorney.com. We are national leaders in social security disability law with more cases published in the Forum of the National Organization of Social Security Claimants’ Representatives than anyone else in the country for the last three years. We show other lawyers how to win. Horn & Kelley won nine of ten decisions in 2014 in the United States District Court and two out of two decisions in the United States Court of Appeals in 2014. We have represented many Romeoville social security disability applicants successfully. Horn & Kelley are attorneys who represent people on disability claims at every level in Chicagoland, Northwest Indiana. Horn & Kelley has offices in Chicago, Tinley Park, and La Grange, Illinois, as well as Highland, Indiana. Their Chicago office serves Southwest Chicago. Their Tinley Park office serves Chicago’s south and southwest suburbs, including Tinley Park Their LaGrange office serves Chicago’s west suburbs. Their Highland office serves Northwest Indiana. They have represented more than 5,000 clients in the past twenty-five year. If you are a Tinley Park disability applicant, get a free evaluation of your social security disability claim and call Horn & Kelley at 888-921-5297. A Romeoville applicant would ordinarily make an appointment at our Tinley Park office, depending on what is convenient for you. Horn & Kelley practice only in the field of Social Security Disability. Follow Horn & Kelley on Twitter @HornKelleyLaw and like us on Facebook.